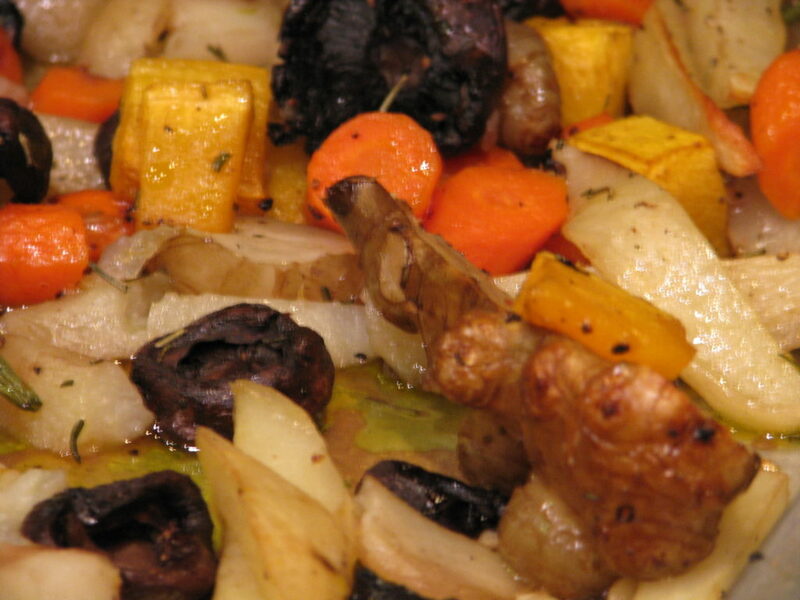 Vegetariat began as mostly a food blog. Now I talk more about growing food than cooking but if you go through the archives you’ll find a lot of recipes. This one I thought was so cute that I had to pass it on. 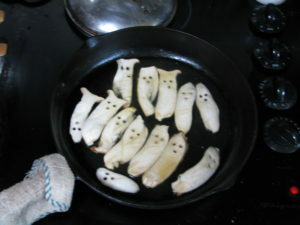 My daughter and I wanted something savory, vegan and spooky to bring to a Halloween potluck. We saw lots of Pintrest tags for apple slices with teeth, green pepper faces oozing spaghetti and all kinds of cheese or egg eyeballs. 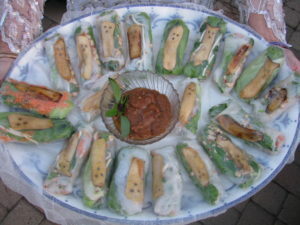 Miranda had made some Thai spring rolls for my birthday last week, which are a big favorite of mine. I liked how you could see the veggies through the rice paper. Then I thought what if something spooky was peering through the rice paper wrapper? A ghostly figure. 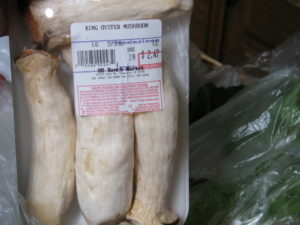 Then I thought of these wonderfully large King Oyster mushrooms we bought at 88Ranch Market and I knew what I wanted. 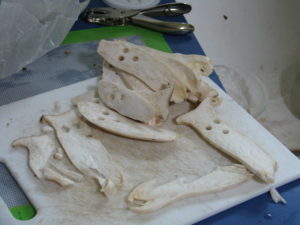 I sliced the mushrooms very thinly. 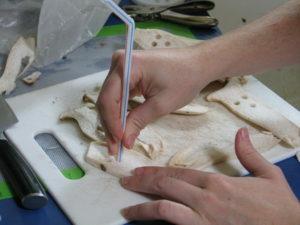 To cut out the eyes and mouth at first I used a knife, then tried a hole punch, and finally used the end of a plastic straw which worked beautifully. I simmered the mushrooms until tender in vegetable broth, sesame oil and Bragg’s Amino Acids. 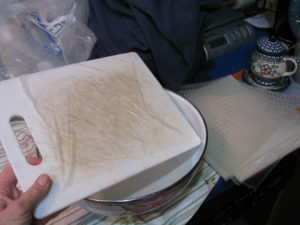 Then they were set on paper towels to dry and to cool. 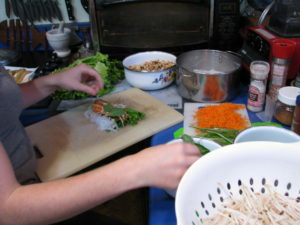 We also prepared the other ingredients: cilantro, Thai basil, strips of chive, soaked rice noodles, lettuce, bean sprouts, grated carrot and crumbled tofu cooked in sesame seed oil and lite Soy Sauce. Spring rolls are not cooked. 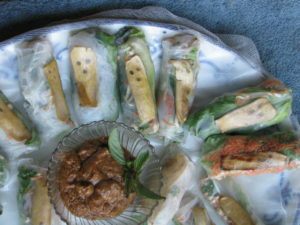 They are a bunch of flavorful and aromatic herbs and veggies wrapped in a clear rice paper wrapper. These wrappers come in hard, brittle sheets. You carefully dip them one at a time into hot water and they quickly become translucent and soft. This is the tricky part, getting them on a surface to fill and fold without allowing it to stick onto itself. If one hangs up too much, dip it back into the water and you can gently pull creases out then. We put a mushroom ghost 2/3rds of the way up, and the rest of the filling just below that. Don’t overfill, and keep a margin on either side for folding. Beware of stems that might poke holes into the wrapper. To fold, you fold in either side first. Then fold the bottom up until it covers 2/3s of the rest, then roll up. The filling should be neatly tucked away and the ghost peering out. 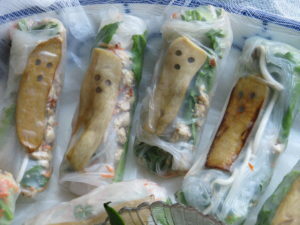 You can arrange the filling behind the ghost so that there are different backgrounds, such as a lettuce forest, creepy bean sprout tendrils or a haze of red carrot. Serve the rolls with a peanut dipping sauce. We brought these to a potluck Halloween party and they all disappeared in a not-so-spooky manner! If you don’t have big mushrooms available, then you can also do this with carrots very thinly sliced and handled the same way. For use with Thai spring rolls. 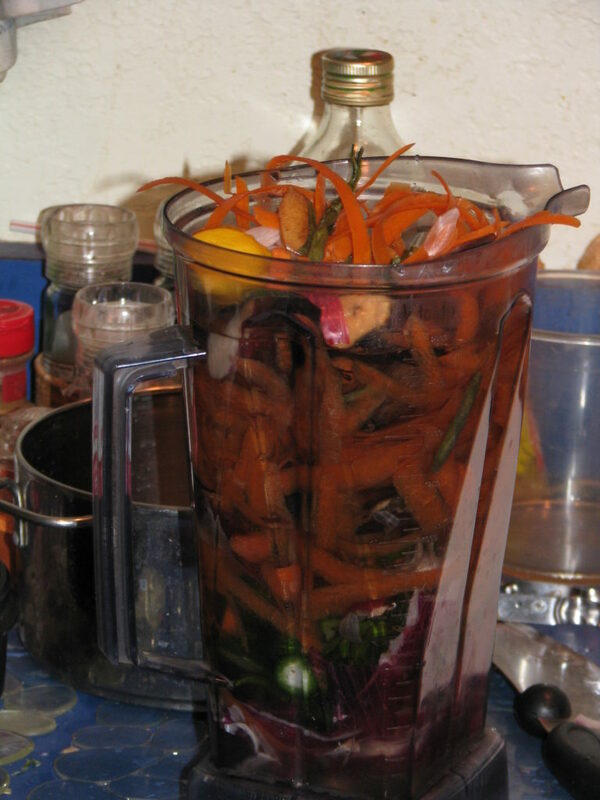 Mix all ingredients until the consistancy is like honey; you want it to stick but not clump. Garnish with crushed peanuts and sprigs of herbs or a piece of lime. Just wanted to share our spooky treats that also were very healthy and so very tasty! 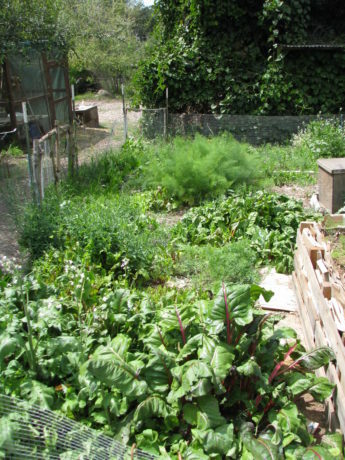 Polyculture is, obviously, the opposite of monoculture, but in permaculture (a lot of -cultures here) it means more than that. The best way to plant in polyculture is to follow the guidelines for a plant guild . A plant guild is how plants arrange themselves in nature so that each fulfills a niche. The variety of plants aren’t competing for the same nutrients and are delivering something other plants need; i.e. shade, nutrients, root exudates, leaf drop, soil in-roads via deep tap roots, etc. 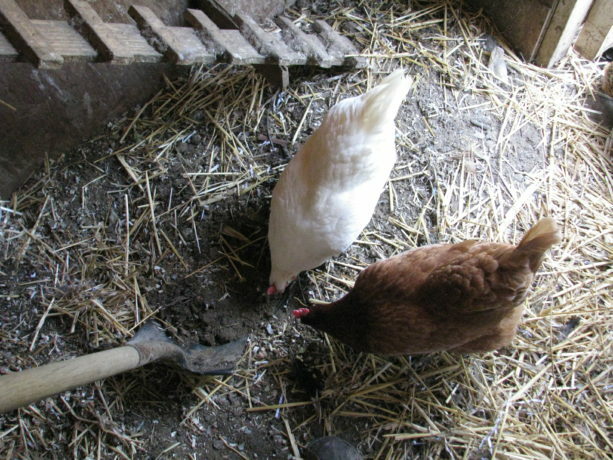 By burying sticks in planting holes you are helping feed the soil and hold water. When planting veggies here at Finch Frolic Garden I often mix up a handful of vegetable, herb and flower seeds that fulfill the plant guild guidelines and plant them all in one area. They come up in a mix of heights, colors, shapes and scents to fool bugs. The result is like a miniature forest. 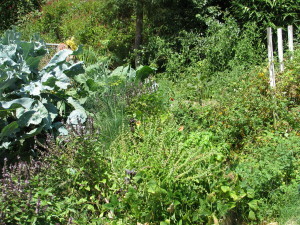 A merry mixture of vegetables, herbs and flowers in a mature bed. However that sort of wild designed planting has its drawbacks. 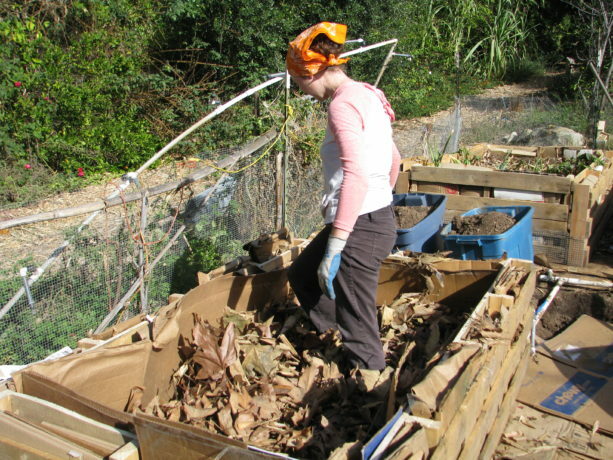 Harvesting is more time consuming (although more fun, like a treasure-hunt). Many people find peace in looking at rows of vegetables, and peace is valuable. 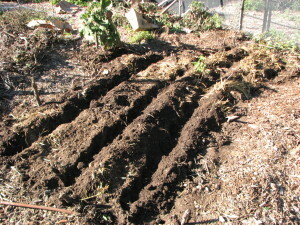 We disturb the soil as little as possible, and pull the soil back for potatoes. You can plant polyculture in rows as well. Just plant each row with a different member of the plant guild, and you’ll achieve a similar effect with insect confusion, and with nutrient conservation. 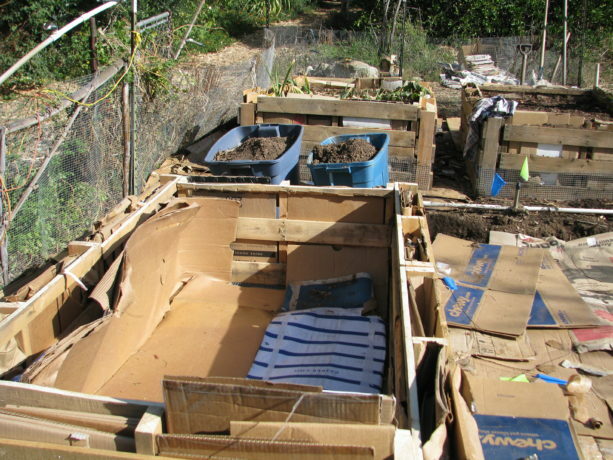 In this small, slightly sunken bed (we are in drylands so we plant concave to catch water), we planted rows of three kinds of potatoes, two kinds of shallots, a row each of bush beans, fava beans, parsnips, radish and carrots. 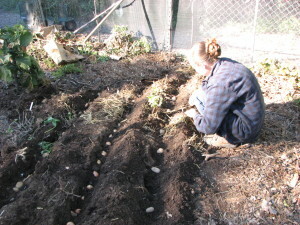 Miranda planting potatoes and shallots before the smaller seeds go in. 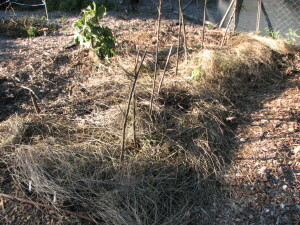 We covered the bed with a light mulch made from dried dwarf cattail stems. This sat lightly on the soil and yet allowed light and water penetration, giving the seedlings protection from birds and larger bugs. This light, dry mulch worked perfectly. Since cattails are a water plant, there are no worries about it reseeding in the bed. 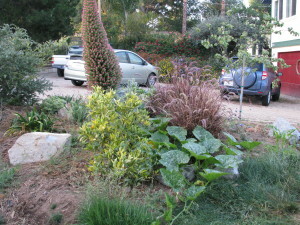 The garden a couple months later. Because we had a warm and rainless February (usually our wettest month), our brassicas headed up rather than produced roots and only a few parsnips and carrots germinated. However our nitrogen-fixing favas and beans are great, our ‘mining’ potatoes are doing beautifully and the shallots are filling out well. 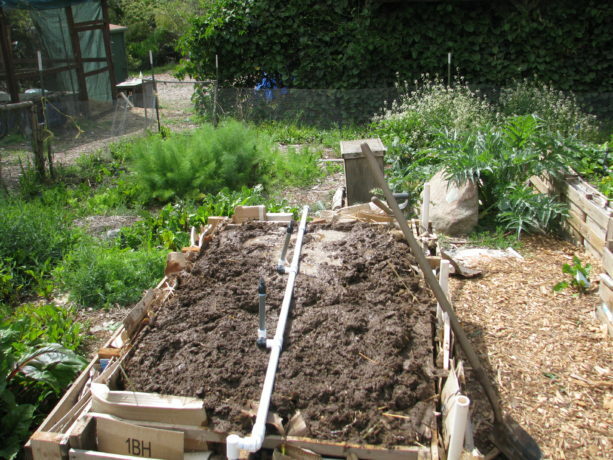 Every plant accumulates nutrition from the air and soil, and when that plant dies it delivers that nutrition to the topsoil. 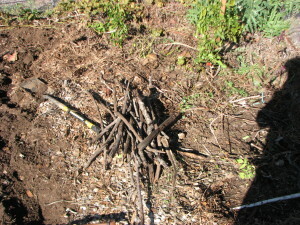 In the case of roots, when they die it is immediate hugelkultur. Without humans, plants drop leaves, fruit and seeds on the ground, where animals will nibble on them or haul them away but leave juice, shells and poo behind. 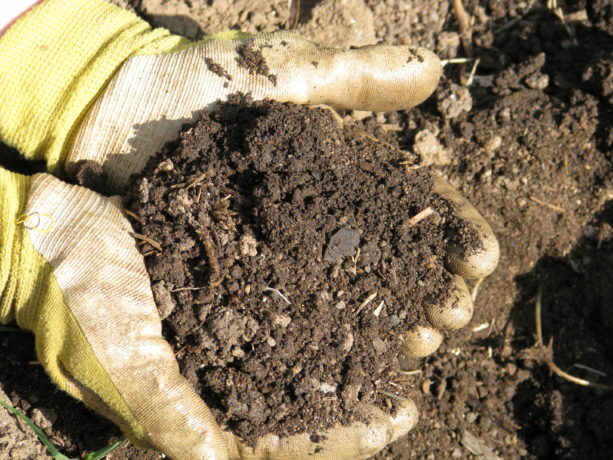 When the plant dies, it dies in place and gives back to the topsoil. 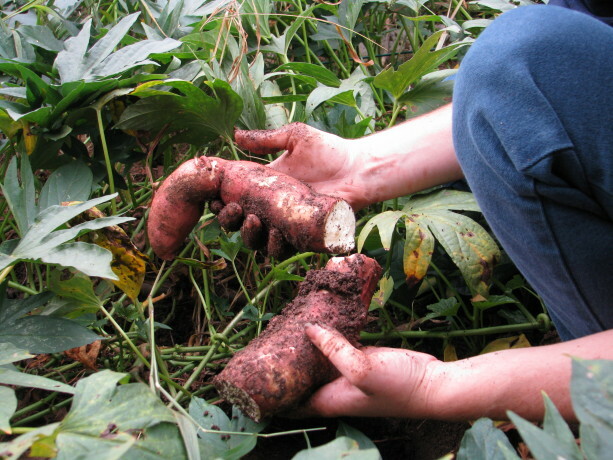 When we harvest from a plant we are removing that much nutrition from the soil. 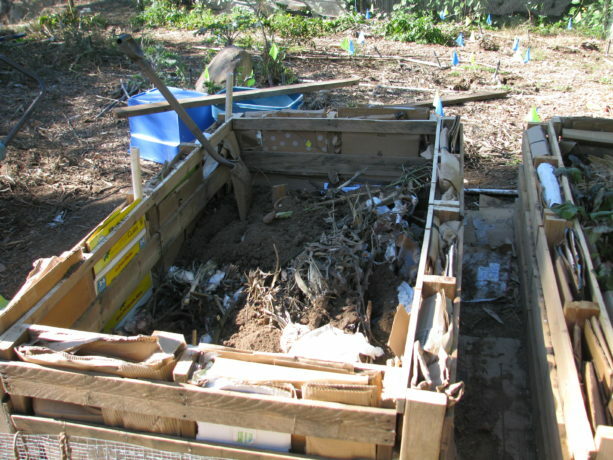 So when the plants are through producing, we cut the plants at the soil surface and leave the roots in the ground, and add the tops back to the soil. 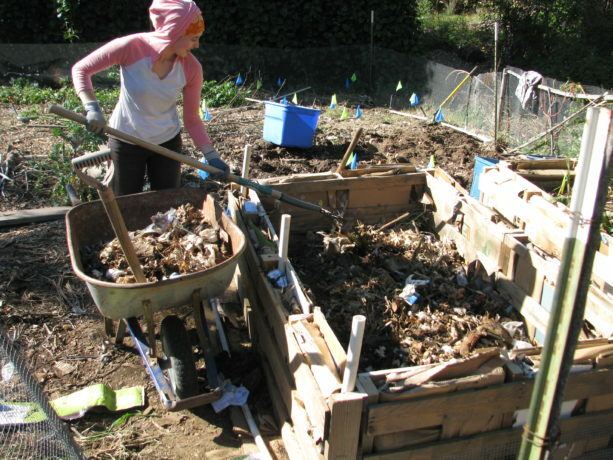 By burying kitchen scraps in vegetable beds you are adding back the sugars and other nutrients you’ve taken away with the harvest. It becomes a worm feast. 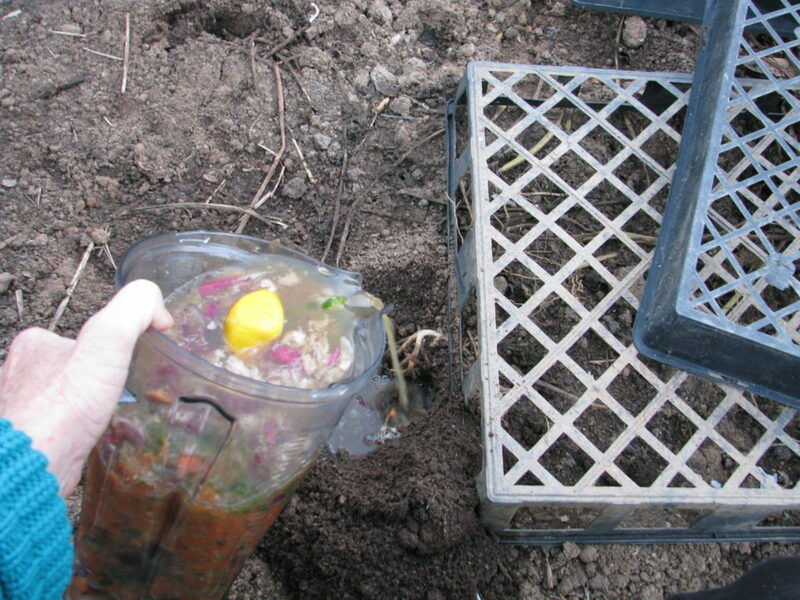 Depending upon your climate and how warm your soil is, the scraps will take different lengths of time to decompose. 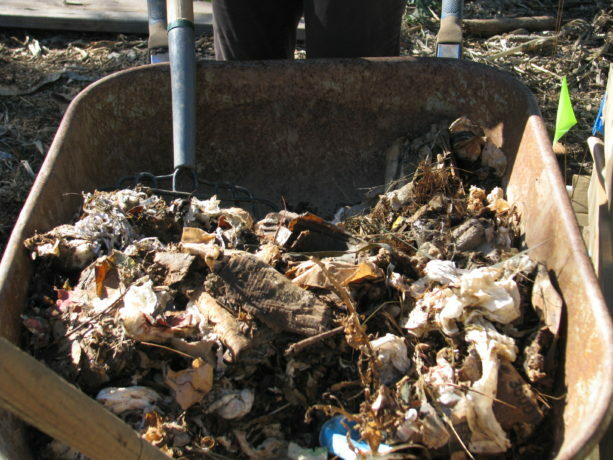 Here in San Diego, a handful of food scraps buried in January is just about gone by February. No fertilizer needed! When set in motion the many parts of a plant guild will create a self-sustaining cycle of nutrition and water. By understanding the guild template and what plants fit where, we can plug in plants that fulfill those roles and also provide for us food, building materials, fuel and medicine as well as beauty. Plant the appropriate plants for where you are placing them, for your soil and water use, and stack them in a guild with compatible plants that you can use. 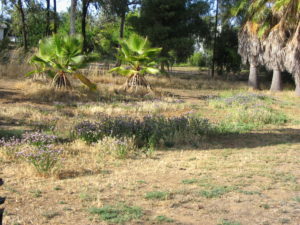 The ground will be covered by a foliar density that will keep grasses and other weeds at bay and provide excellent habitat for a full range of animals and insects. 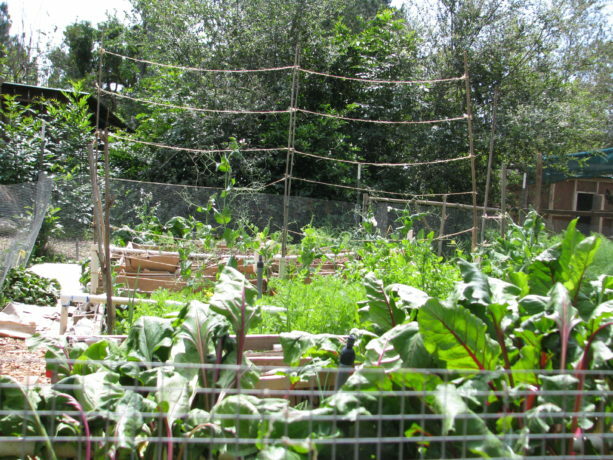 By stacking plants in a guild you are bringing life and abundance back to your garden. Does it still sound so complicated? Rather than try to learn the roles of all the plants in the world, start small. Make a list of all the plants you want to plant. 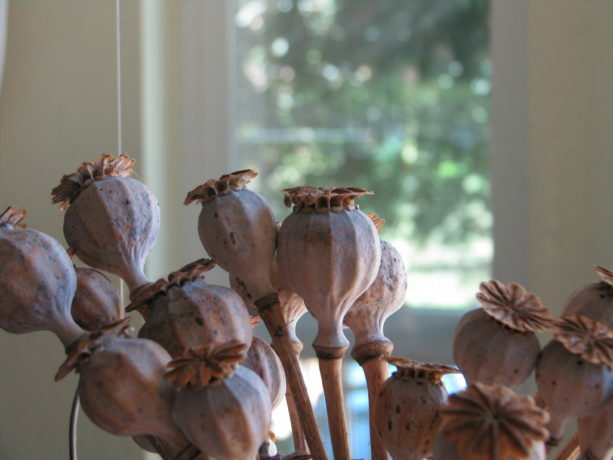 List them under food bearing, culinary/medicinal herb, craft/building material, and ornamental. Then read up on those plants. What size are they at maturity? Do they need full sun, partial or full shade? 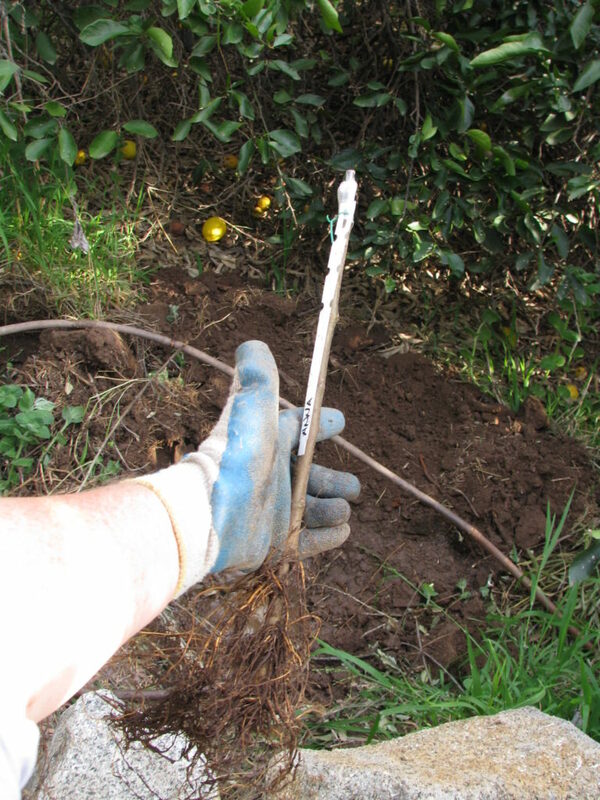 If trees, do they have an upright growth so you may plant under them (stonefruit), or do they like to have their roots covered and don’t like plants directly under them (citrus and avocado)? Citrus doesn’t like plants under its canopy, but does like plants outside its dripline. 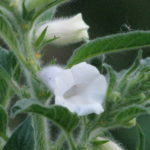 Are they annuals, perennials or biennials? What is their growth habit: sprawling, rooting where they spread, upright bushy, do they need support and can they cling or do they need to be tied to a support? Will the plant twine on its own? 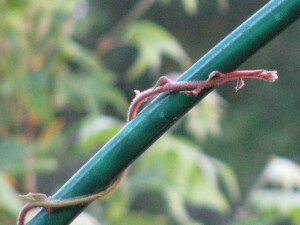 Do vines or canes need to be tied to supports? As you are acquainting yourself with your plants, you can add to their categorization, and shift them into the parts of a plant guild. Yes, many plants will be under more than one category… great! Fit them into the template under only one category, because diversity in the guild is very important. Draw your guilds with their plants identified out on paper before you begin to purchase plants. Decide where the best location for each is on your property. 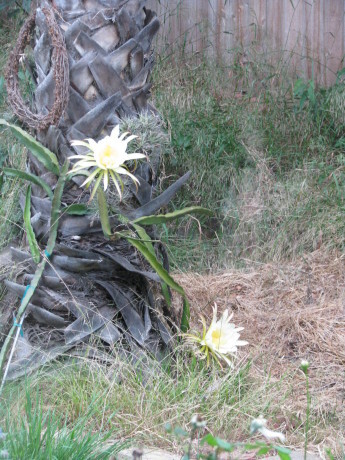 Tropical plants that are thirsty and don’t have cold tolerance should go in well-draining areas towards the top or middle of your property where they can be easily watered. 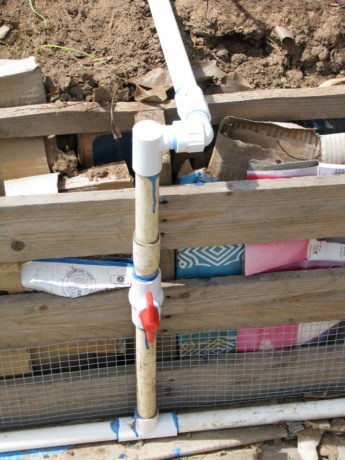 Plants that need or can tolerate a chill should go where the cold will settle. 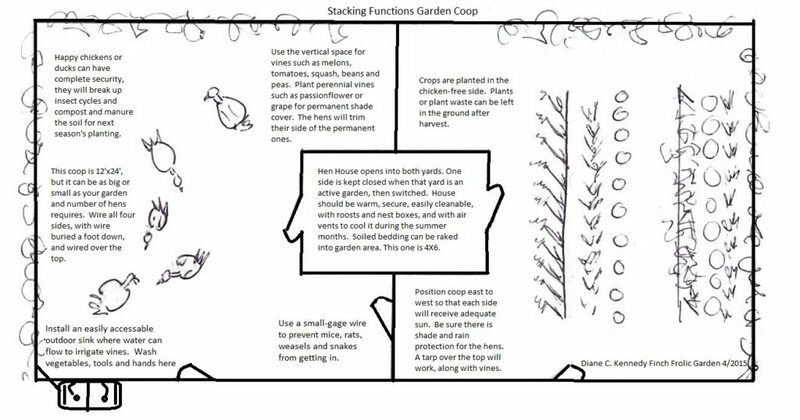 Once it is on paper, then start planting. You don’t have to plant all the guilds at once… do it as you have time and money for it. Trees should come first. 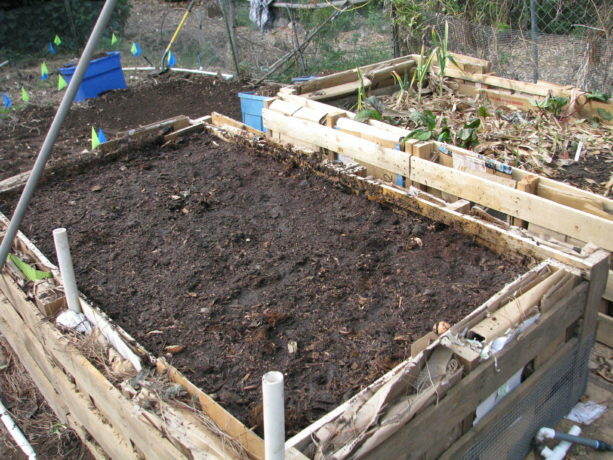 Bury wood to nutrify the soil in your beds, and don’t forget to sheet mulch. 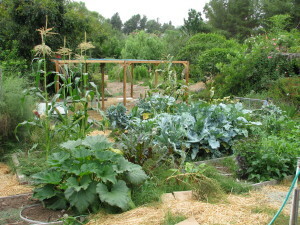 Remember that in permaculture, a garden is 99% design and 1% labor. If you think buying the plants first and getting them in the ground without planning is going to save you time and money, think again. You are gambling, and will be disappointed. Have fun with your plant guilds, and see how miraculous these combinations of plants work. 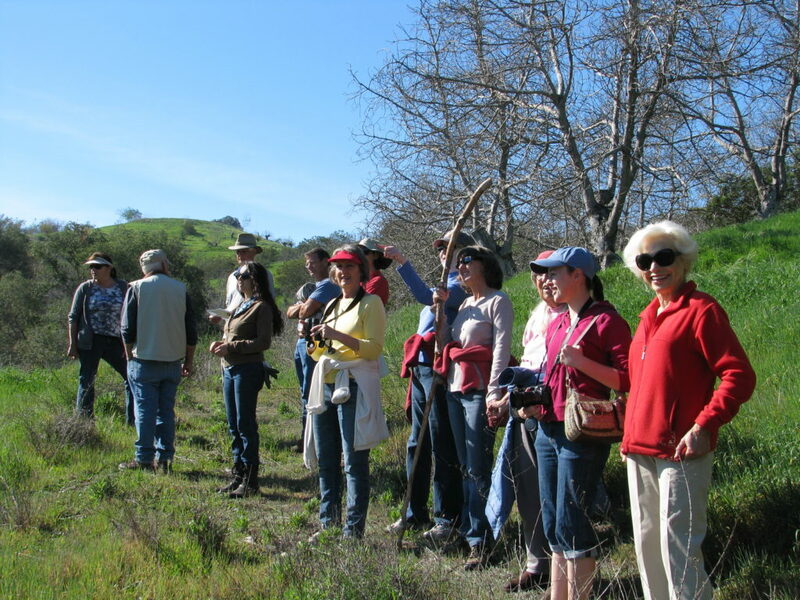 When you go hiking, look at how undisturbed native plants grow and try to identify their components in nature’s plant guild. 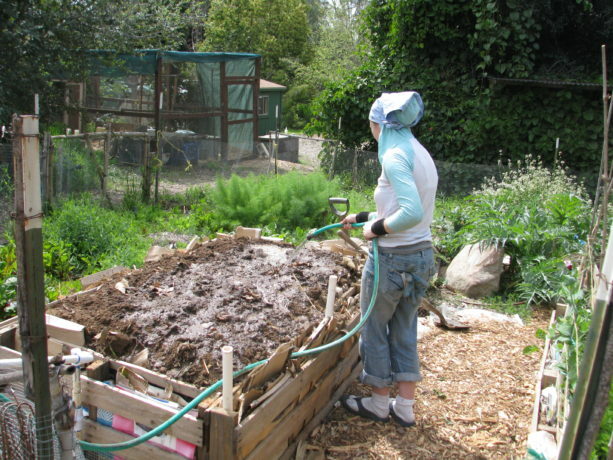 Guilds are really the only way to grow without chemicals, inexpensively and in a way that builds soil and habitat. You can find the rest of the 9-part Plant Guild series here: Plant Guilds: What are they and how do they work? The first in a series. , Plant Guild #2: Canopy , Plant Guild #3: Sub-Canopy , Plant Guild #4: Nitrogen-Fixers, Plant Guild #5: Mining Plants, Plant Guild #6: Groundcovers, Plant Guild #7: Vines, Plant Guild #8: Insectiaries . 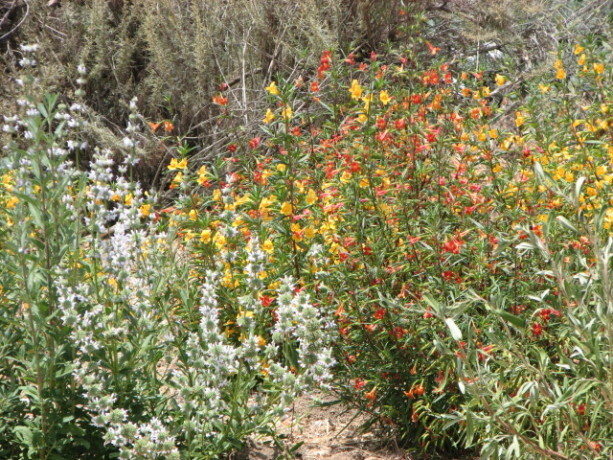 California native sage and penstemon make great insectiaries. Insectiaries are plants which attract lost of pollinators to the rest of your plant guild. We’re not just talking honey bees. Actually, what Americans raise and call honey bees, any bees from the genus Apis which are colonial honey-producers, are all European. Of course there are also the African honey bees which are loose in America, but their ‘hotness’ – their radical and violent protective measures – are not welcome. There are no native honey bees in North America. What we do have are hundreds of species of bees, wasps and flies which are native and which do most of the pollenization in non-poisoned gardens and fields. 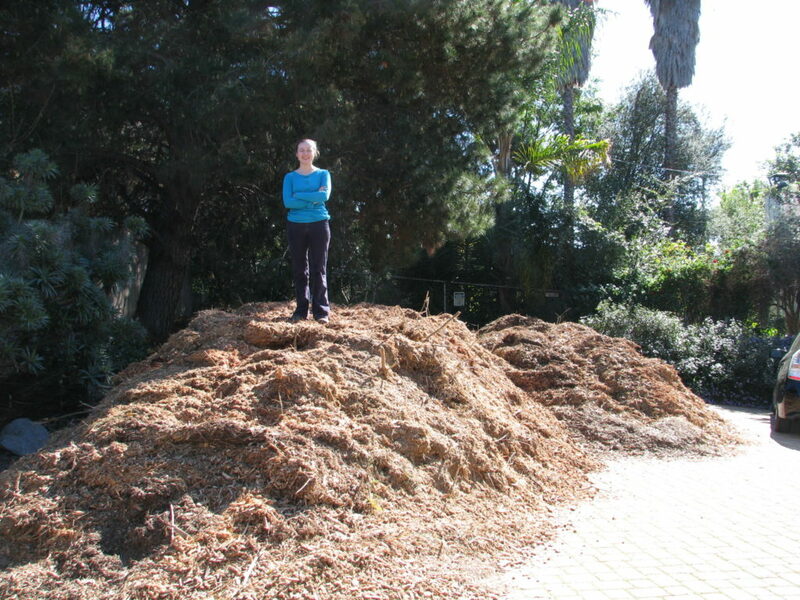 Here in Southern California where everything is smaller due to the low rainfall we have wasps, flies and bees which range in size from the inch-long carpenter bees to those the size of a freckle. A small freckle. 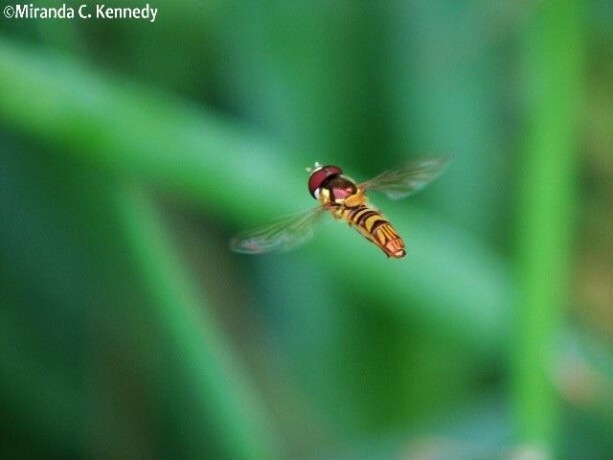 In fact the best native pollinator we have is a type of hover fly that is about the size of a grain of rice. Hoverflies (Family Syrphidae) are one of our best pollinators. 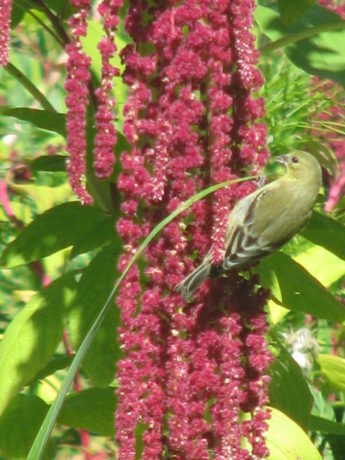 My daughter Miranda hosts our Finch Frolic Garden Facebook page where she has posted albums of animals and insects found here, with identifications along with the photos so that you can tell what is the creature’s role in the garden (you don’t need to be a member of Facebook to view it). We notice and measure the loss of the honeybee, but no one pays attention to the hundreds of other ‘good guys’ that are native and do far more work than our imports. Many of our native plants have clusters of small flowers and that is to provide appropriate feeding sites for these tiny pollinators. Tiny bees need a small landing pad, a small drop of nectar that they can’t drown in, and a whole cluster of flowers close together because they can’t fly for miles between food sources. 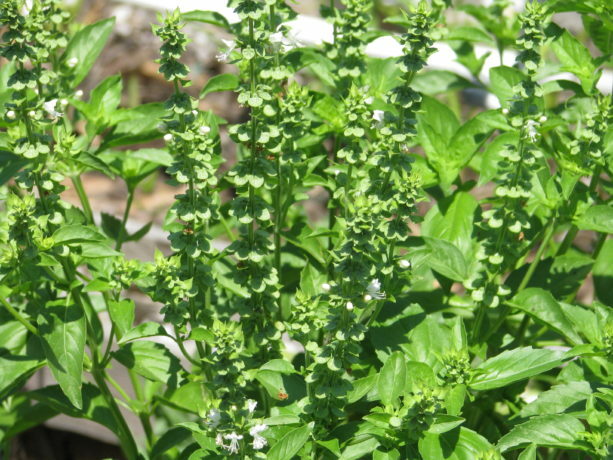 Oregano doesn’t spread as much as other mints do, and can be kept in check by harvesting. 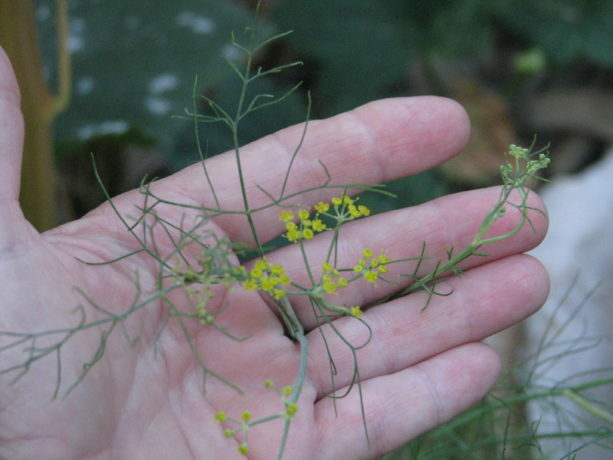 Look closely at the blooms in summer and you’ll see lots of very tiny insects pollinating! If you’ve read my other Plant Guild posts, you’ve already familiar with this, but here it goes again. 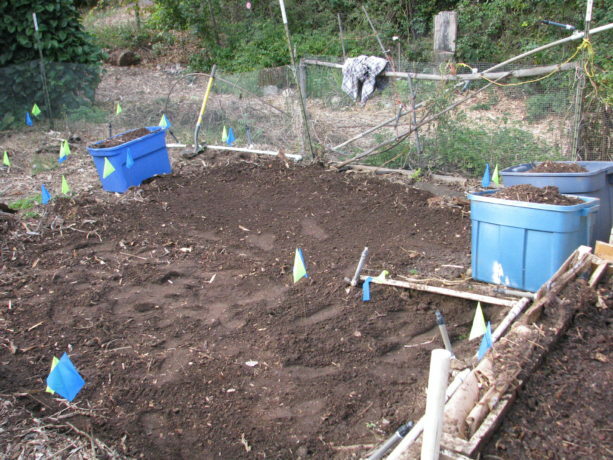 You’ve heard of the ‘Three Sisters’ method of planting by the Native Americans: corn, beans and squash. In Rocky Mountain settlements of Anasazi, a fourth sister is part of that very productive guild, the Rocky Mountain bee plant (Cleome serrulata). Its purpose was as an insectiary. 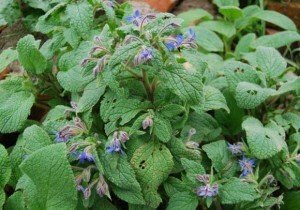 Borage is edible, medicinal, lovely and reseeds. 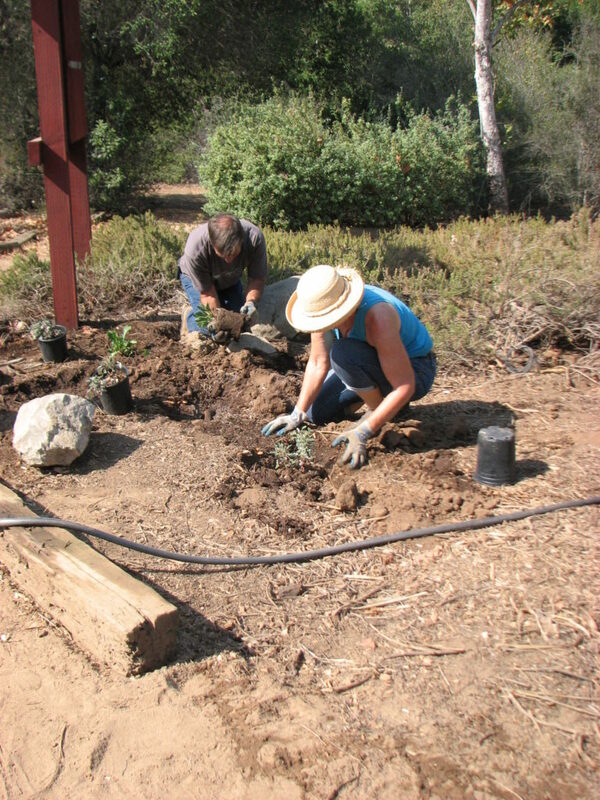 So planting native plants that attract the insects native to your area is just as important as planting to attract and feed honey bees. 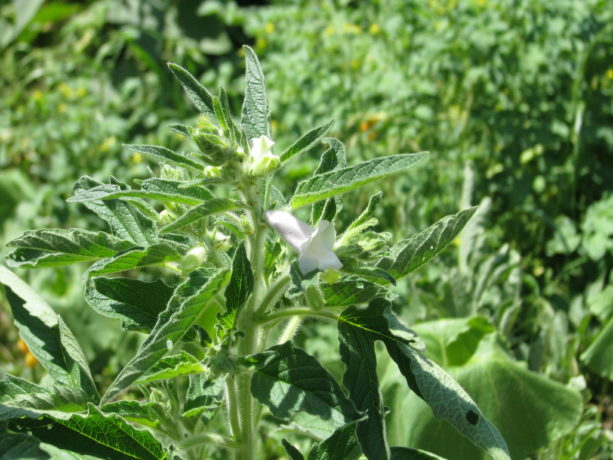 Many herbs, especially within the mint and sage families, produce flowers that are enjoyed by most sizes of insects and are useful as food or medicine as well. 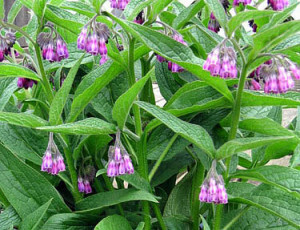 You’ll remember our old friend comfrey, which is also a mining plant and great green fertilizer! It also is a dining room for bumblebees. If you like flowers, here’s where you can possibly plant some of your favorites in your guild and not feel guilty about it! Of course, aesthetics is important and if you aren’t enjoying what is in your garden, you aren’t doing it right, so plant what makes you happy. As long as its legal. Of course be sure to grow only non-GMO plants, and be ESPECIALLY sure that if you are purchasing plants they are organically raised! 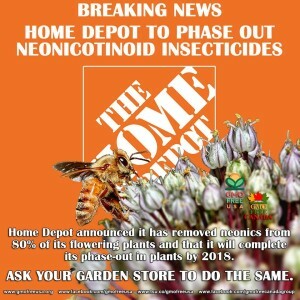 Although large distributors such as Home Depot are gradually phasing into organics, an enormous amount of plants sold in nurseries have been treated with systemic insecticides, or combination fertilizer/insecticides. 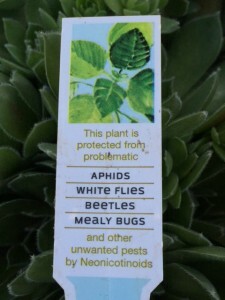 Systemic poisons work so that any insect biting the plant will be poisoned. 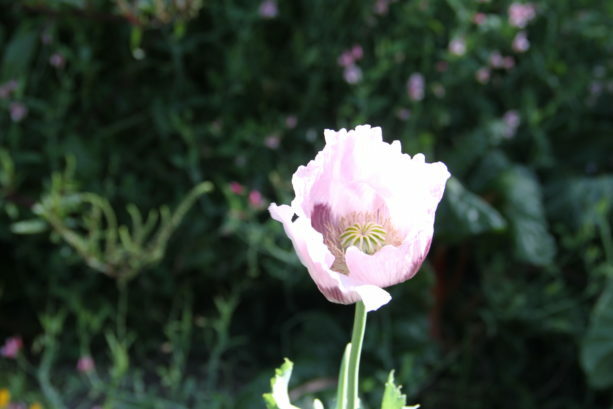 It affects the pollen and nectar as well, and systemics do not have a measurable life span. 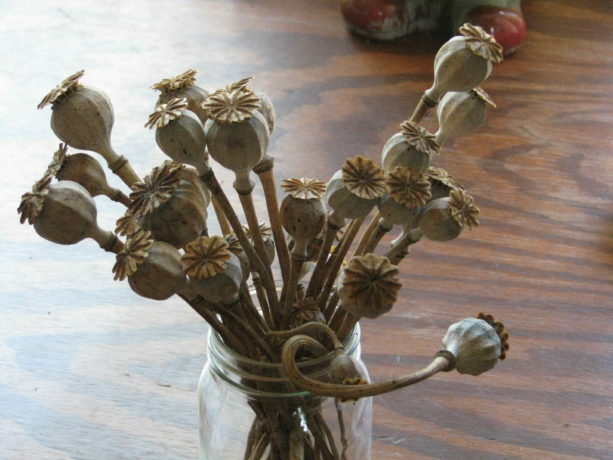 They don’t disappear after a month or so, they are there usually for the life of the plant. 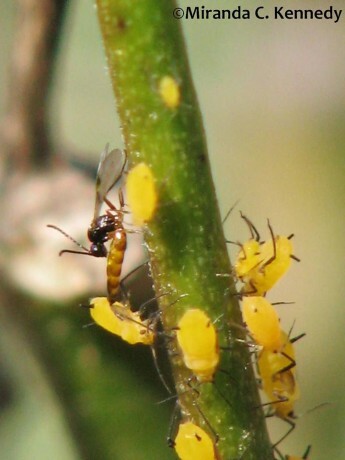 If your milkweed plants don’t have oleander aphids on them, be wary! If the plants sold as food for pollinators and as host plants don’t have some insect damage to them, beware! 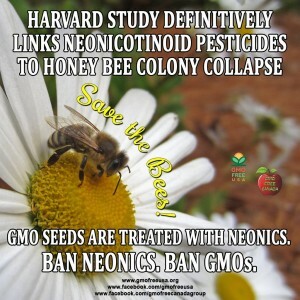 They WILL sell you ‘butterfly and bird’ plants, but also WILL pre-treat them will systemic insecticides which will kill the Monarchs and other insects that feed on the plant, and sicken the nectar-sipping birds. Even those plants marked ‘organic’ share table space in retail nurseries with plants that are sprayed with Malathion to kill white fly, and be sure that the poison drift is all over those organic vegetables, herbs and flowers. Most plant retailers, no matter how nice they are, buy plants from distributors which in turn buy from a variety of nurseries depending upon availability of plants, and the retail nurseries cannot guarantee that a plant is organically grown unless it comes in labeled as such. Even then there is the poison overspray problem. The only way to have untainted plants is to buy non-GMO, organically and sustainably grown and harvested seeds and raise them yourself, buy from local nurseries which have supervised the plants they sell and can vouch for their products, and put pressure on your local plant retailers to only buy organic plants. Talk about a sales twist! They don’t mention that it kills EVERYTHING else! When public demand is high enough, they will change their buying habits, and that will force change all the way down the line to the farmers. No matter how friendly and beautiful a nursery is and how great their plants look, insist that they prove they have insecticide-free plants from organic growers (even if they don’t spray plants themselves). 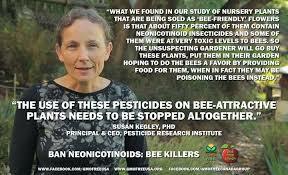 Systemic insecticides are bee killers. And wasp and fly killers as well. Of course many of the other guild members will also attract pollinators, and even be host plants for them as well. With a variety of insectiaries, you’ll receive the benefit of attracting many species of pollinator, having a bloom time that is spread throughout the year, and if a plant is chewed up by the insect it hosts (milkweed by Monarch caterpillars, for instance) there will be other blooms from which to choose. 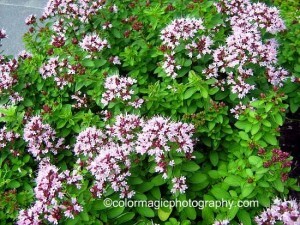 Placing fragrant plants next to your pathways also gives you aromatherapy as you pass by. And flowers are pretty. So plant them! You can find the entire 9-part Plant Guild series here: Plant Guilds: What are they and how do they work? The first in a series. , Plant Guild #2: Canopy , Plant Guild #3: Sub-Canopy , Plant Guild #4: Nitrogen-Fixers, Plant Guild #5: Mining Plants, Plant Guild #6: Groundcovers, Plant Guild #7: Vines, Plant Guild #9: The Whole Picture. 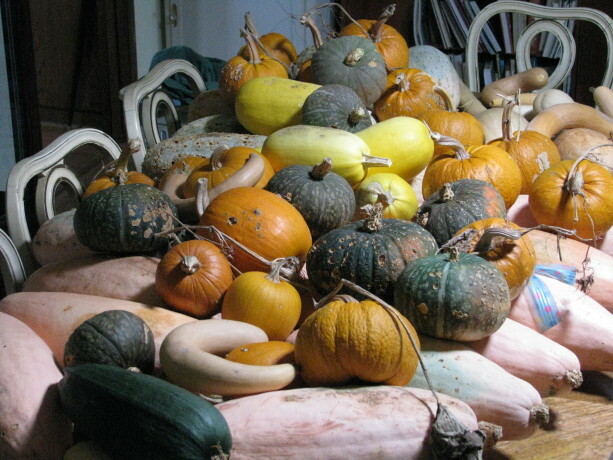 Our varieties of squash several years ago. You may think that vines and groundcover plants are pretty interchangeable, and they can share a similar role. 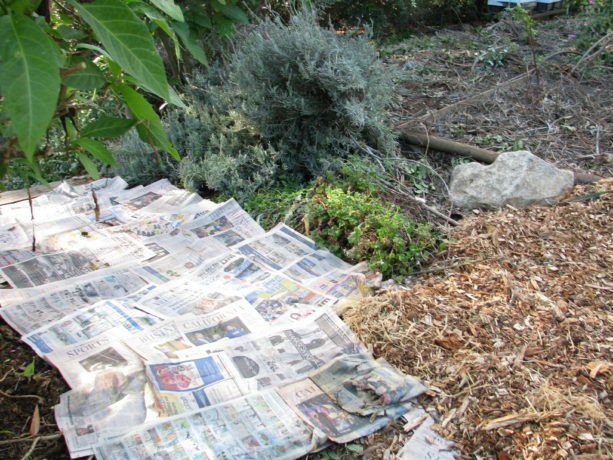 However, as we covered in the Plant Guild #6: Groundcovers these plants do not have to vine, but just cover large spaces close to the ground and coming from a single trunk or stem. Sweet potatoes and yams make fantastic ground covers. The leaves are edible. Some root in one place, and some spread tubers over a larger area, so choose what is appropriate for digging up your harvest in your guild. They will die of frost. 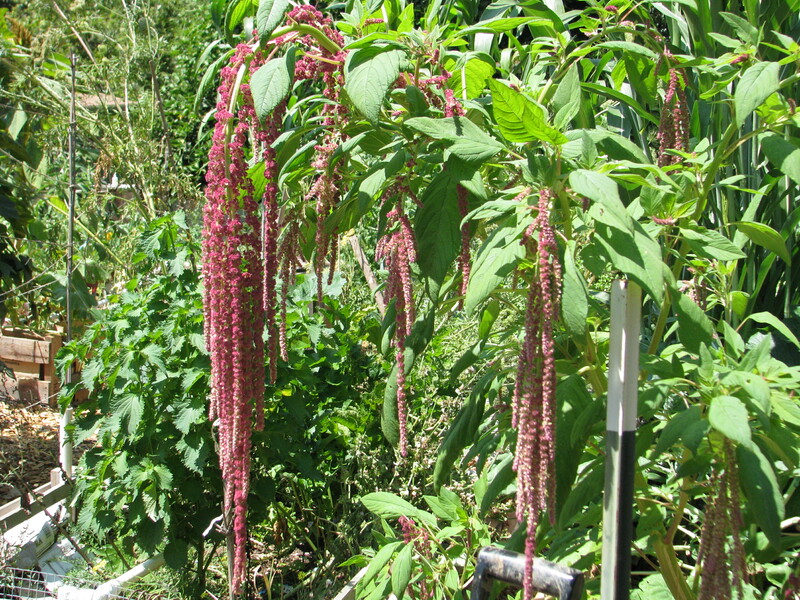 Vines can be large and heavy, small and delicate, perennial or annual. 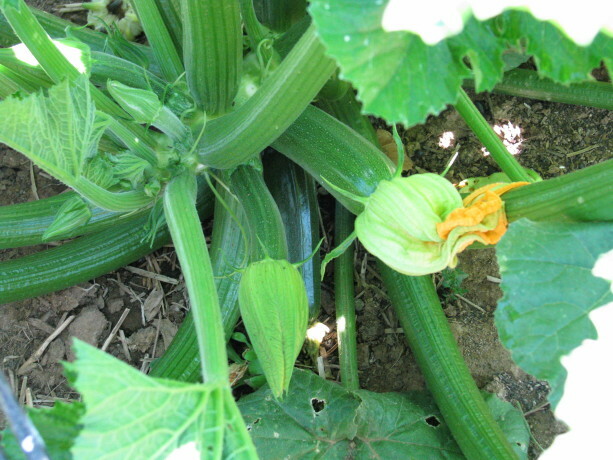 In a food plant guild vines are often food-bearing, such as squash. If you recall the legendary Three Sisters of planting – corn, beans and squash – there are two vines at work here. 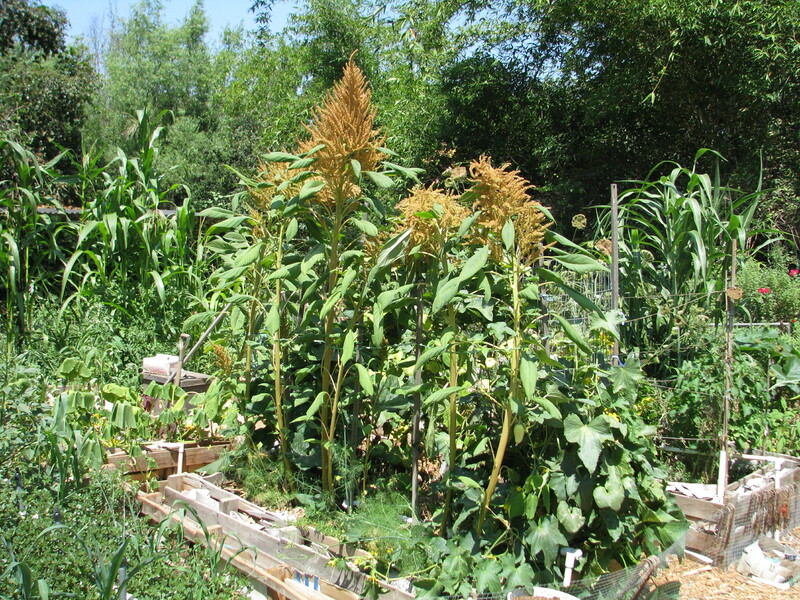 The corn forms a trellis for the light and grabby bean plant to climb upon (the bean fixing nitrogen in the soil as well as attracting pollinators with its flowers). 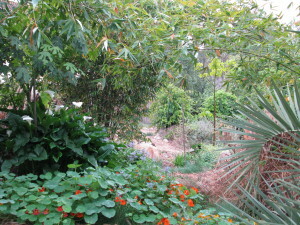 The squash forms a low canopy all around the planted area. 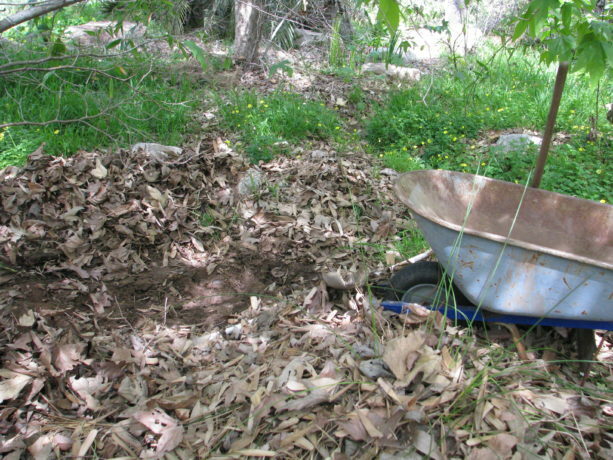 The big leaves keep moisture in, soften the raindrops to prevent erosion and deoxygenation, drop leaves to fertilize the soil, provide a large food crop, and attract larger pollinators. 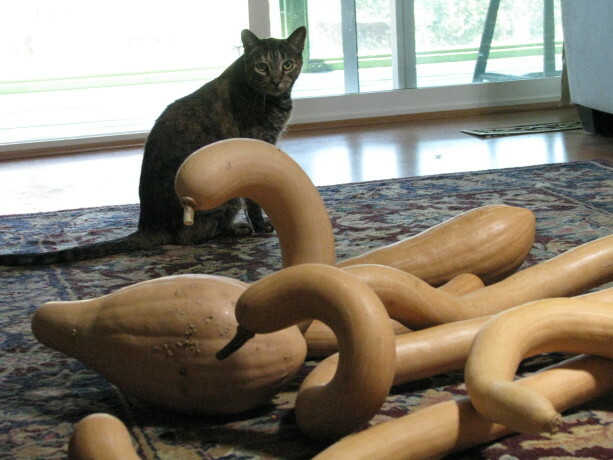 Even more than that, the squash protects the corn from raccoons. These masked thieves can destroy an entire backyard corn crop in a night, just when the corn is ripe. 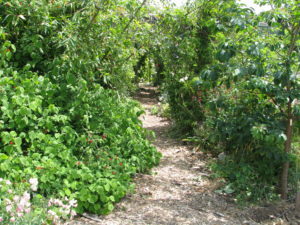 However, they don’t like walking where they can’t see the ground, so the dense squash groundcover helps keep them away. 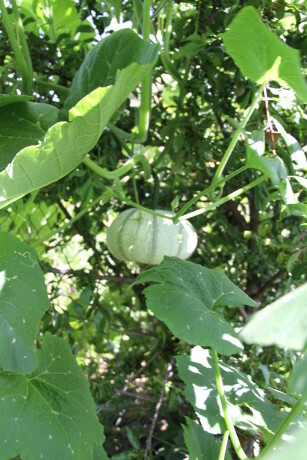 Pipian from Tuxpan squash supported by a plum and a pepper tree. Vines are very important to use on vertical space, especially on trees. With global warming many areas now have extremely hot to scorching sun, and for longer periods. Intense sun will scorch bark on tender trees, especially young ones. 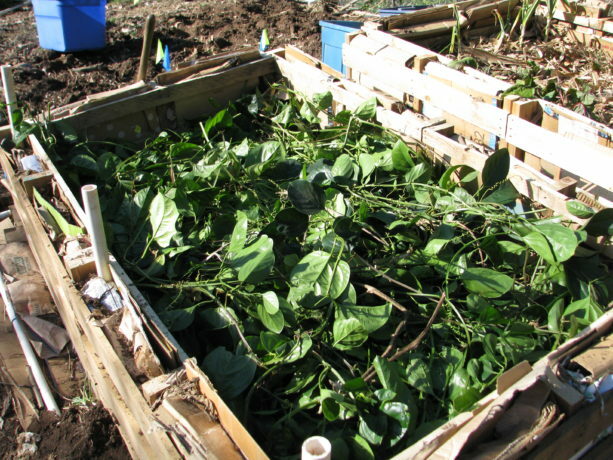 By growing annual vines up the trees you are helping shade the trunk while producing a crop, and if the vines are legumes you are also adding nitrogen fertilizer. Can you spot the squash in the lime tree? 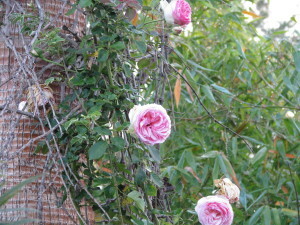 It is crescent shaped and pale. Be sure the weight of the mature vine isn’t more than the tree support can hold, or that the vine is so strong that it will wind its way around new growth and choke it. 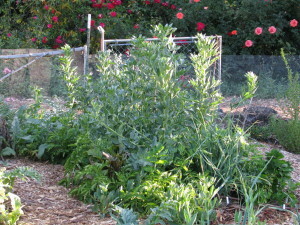 Peas, beans and sweetpeas are wonderful for small and weaker trees. When the vines die they can be added to the mulch around the base of the tree, and the tree will receive winter sunlight. 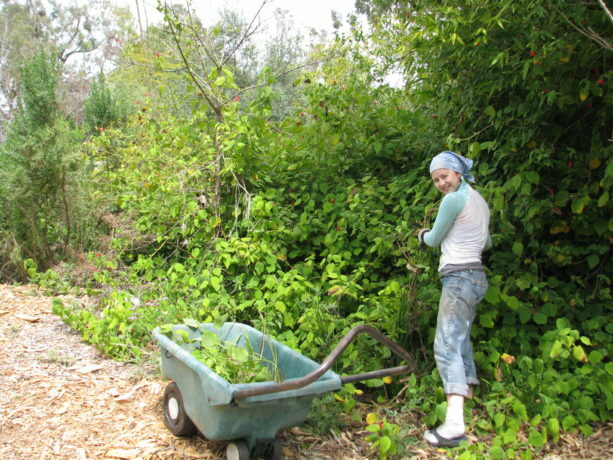 When we plant trees, we pop a bunch of vining pea (cool weather) or bean (warm weather) seeds right around the trunk. 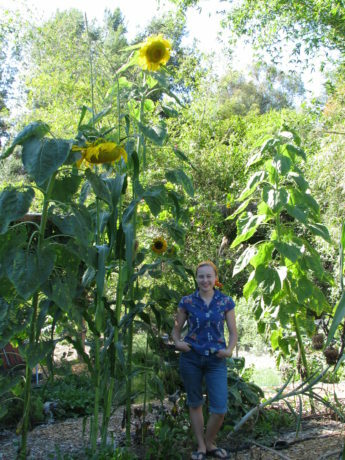 Larger, thicker trees can support tomatoes, cucumbers, melons, and squash of various sizes, as well as gourds. Think about how to pick what is up there! We allowed a alcayota squash to grow up a sycamore to see what would happen, and there was a fifteen pound squash hanging twelve feet above the pathway until it came down in a heavy wind! These zuchinno rampicante, an heirloom squash that can be eaten green or as a winter squash, form interesting shapes as they grow. These ‘swans’ and Marina are having a stare-off. 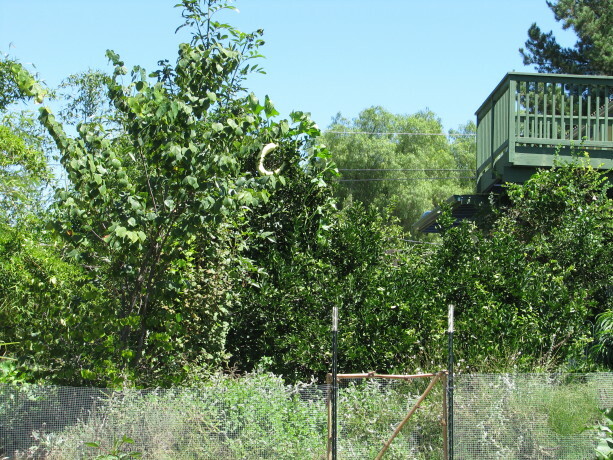 Nature uses vertical spaces for vines in mutually beneficial circumstances all the time, except for notable strangler vines. 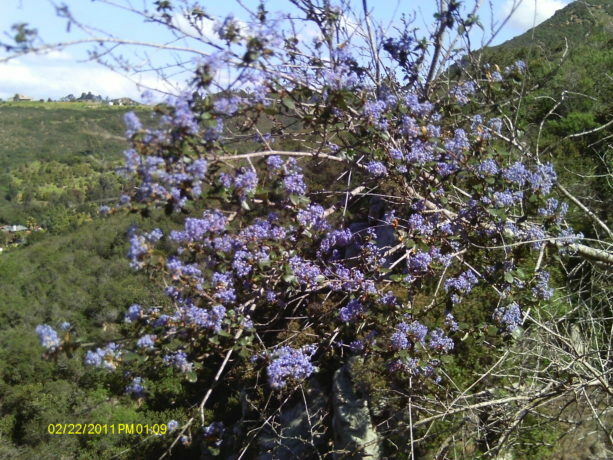 For instance in Southern California we have a wild grape known as Roger’s Red which grows in the understory of California Live Oaks. 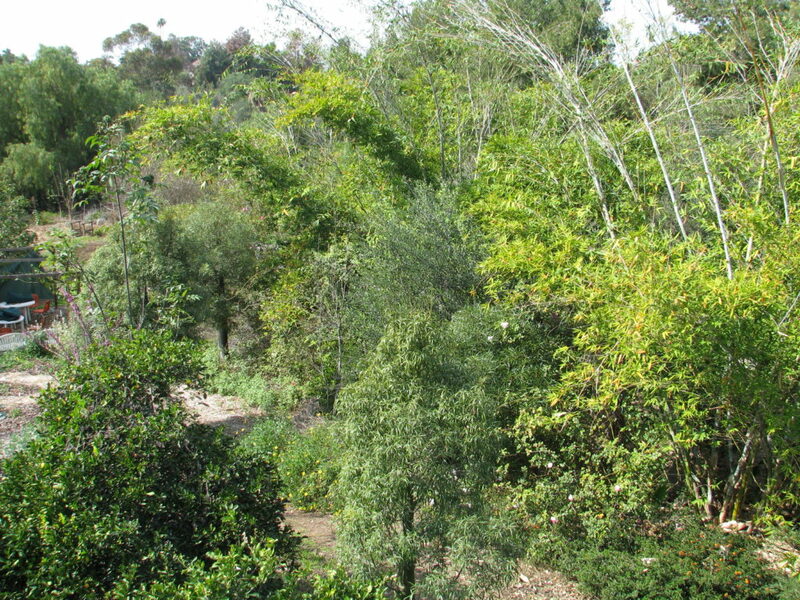 A few years ago there appeared in our local paper articles declaiming the vines, saying that everyone should cut them down because they were growing up and over the canopy of the oaks and killing them. 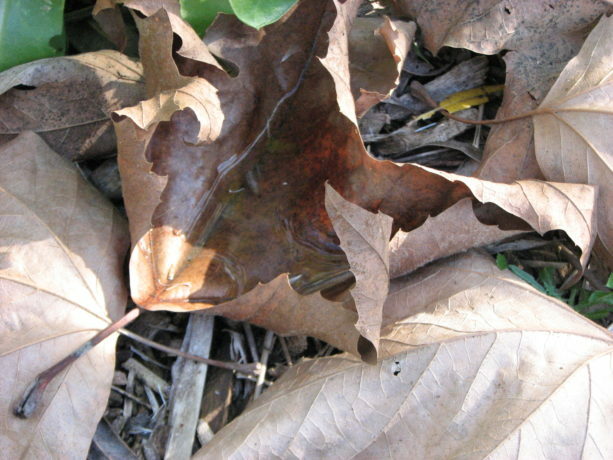 The real problem was that the oaks were ill due to water issues, or beetle, or compaction, and had been losing leaves. The grape headed for the sun, of course, and spread around the top of the trees. The overgrowth of the grape wasn’t the cause of the problem, but a symptom of a greater illness with the oaks. Some vines are not only perennial, but very long-lived and should be placed where they’ll be happiest and do the most good. Kiwi vines broaden their trunks over time and with support under their fruiting stems can be wonderful living shade structures. A restaurant in Corvallis, Oregon has one such beauty on their back patio. There is something wonderful about sitting in the protection of a living thing. Wisteria chinensis is a nitrogen-fixer with edible flowers (and poisonous other parts), has stunning spring flowers and can make a nice deciduous vine to cover a canopy. 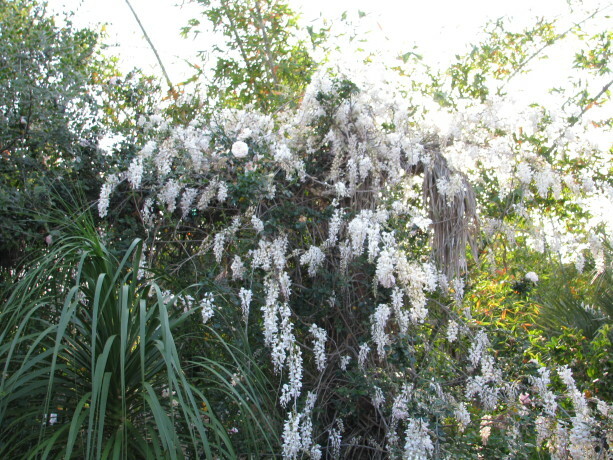 It does spread vigorously, but can be trained into a standard, and are fairly drought tolerant when mature. Passionvines can grow up large trees where they can receive a lot of light. Their fruit will drop to the ground when ripe. The vines aren’t deciduous, so the tree would be one where the vine coverage won’t hurt the trunk. Dragonfruit aren’t exactly a vine, but they can be trained up a sturdy tree. 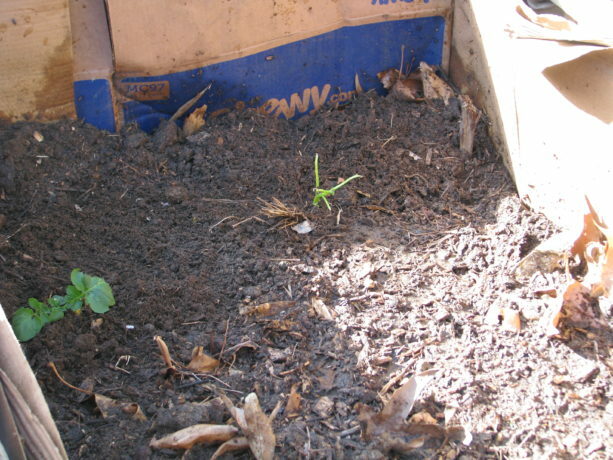 Vines such as hops will reroot and spread wherever they want, so consider this trait if you plant them. 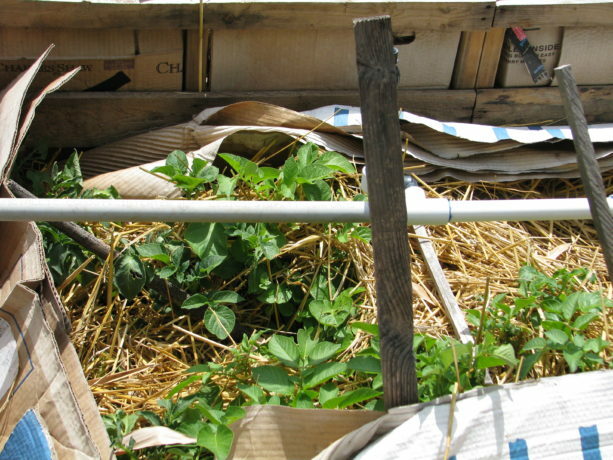 Because the hops need hand harvesting and the vines grow very long, it is probably best to put them on a structure such as a fence so you can easily harvest them. So consider vines as another important tool in your toolbox of plants that help make a community of plants succeed. Next in the Plant Guild series, the last component, Insectiaries. You can find the entire 9-part Plant Guild series here: Plant Guilds: What are they and how do they work? The first in a series. , Plant Guild #2: Canopy , Plant Guild #3: Sub-Canopy , Plant Guild #4: Nitrogen-Fixers, Plant Guild #5: Mining Plants, Plant Guild #6: Groundcovers, Plant Guild #8: Insectiaries, Plant Guild #9: The Whole Picture.